Effective social media campaign is a heady mix involving social media and marketing basics, and tricks. Social media experts know how to prepare that perfect potion in proper quantity inspires millions and drives viral reactions. Social media and marketing are the most talked subjects, but we will know more about the tricky part of using tags such as “#” and “@”. Social media optimization networks such as Twitter and Instagram introduced these smart tools to leverage expressions. Posting contents through these channels is a challenge as you need to pack a punch in your social media marketing strategies within 140 characters for Twitter, 500 for Tumblr, etc. Wordy language is out of the consideration and delivers nothing useful. The good news is you can use tags such as # and @ to reach more people, in fact specific audience if composed properly. Here are some tricks that help your campaigns fire on all cylinders and reach more people, breaking all barriers. 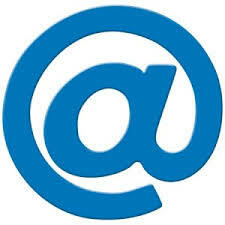 Using handle “@” to address someone in your Tweet is called “mentions”, which notifies that person about your message. The message thus sent is not a perfect secret, as it can be seen by those who are following both of you. Be careful about including a dot “.”, any character, or emoji prior to @ in your twitter handle as the tweet lands up in the feeds of your followers, the recipient, and those who follow you both. If you want to limit your tweet to the intended person and those who have both of you in their circle use @ followed by their twitter handle. Each Twitter handle represents the ID of a particular user. Make sure you are communicating with the right person by verifying their original Twitter handle, as merely typing the name fetches you the ID of someone else having similar handle. As this one “@Queen_UK” which claims to be from Elizabeth II herself, but is just a parody! You can also tag multiple individuals, but if the message can be covered within the limits. Use the handle “@” in social media networks such as Twitter for tagging your recipients, in Facebook to highlight on the interesting news to notify your friends. Use # (hash) symbol to tag topics which you want to share with everyone, or those who are interested in it and like to comment. Most commonly these are used effectively by news channels, TV shows, Twitter trends to let people catch up with the latest and sensational things happening around the world. The hash tag is used in social media networks such as Instagram, Tumblr, Twitter, and also Facebook. But in the case of Facebook you can use it to search for trending topics available through sources such as Instagram, which can be of great help in monetization. Social media is a powerful tool for both personal and business communications. Tweeting to let your friends and followers know about interesting happenings or experiences is common these days. Using these tags help increase the reach of your target audience and trigger social engagement. How effectively you use them determines the success of your social media strategy. Social media marketing strategy services provided by SMO services companies in India and around the world are smart ways to drive your business machine and touch more people. Social media has become an indispensable option to increase brand visibility. As millions of people around the world connect using social media, firms are working on their social media and marketing techniques to tap this rewarding market. Social media networks such as Facebook, LinkedIn, and Twitter are undoubtedly the ways to connect with people sharing similar ideas and likings. Your social media marketing strategy decides how effectively your brand performs. So how do you plan your social engagement to effectively reach the right audience? Here are some insights about what makes you tick and what drives your business into tizzy. Is there a trending discussion about competitor’s bad tasting taco on Twitter? Why not pitch your special burrito through tweets? There are a million ways to reach your clients, and there’s nothing like social media! Just consider that tweeting about your online singing classes was a bad idea as no one noticed it? What about promoting it on Facebook using a great video? Don’t worry if your ideas fail. As ideas are meant to be tried and tested, only the good ones can survive the test of times. Some businesses just want a Facebook presence for their products or services. Spending huge money just for a Facebook presence may be an unwise investment. More than a mere social media presence getting likes and shares is important as they are an appreciation of what you do. Design campaigns that arouse interest and make it difficult for users to ignore your call to action link. Do you think the numbers and graphs belong to an alien world? We bet you are missing on highly valuable data about your business. Statistics report about social media optimization (SMO) and campaigns are composed of those elements, which reveal interesting details about your social media campaigns and customers. Usage statistics reports to customize your social media campaigns. Tired of negative social media comments by customers? Before you respond rudely or shut down your social media campaigns, think again. Your product or service may badly need your attention. Address the concerns of your customers because of whom your business machine runs. The moment you started your business you received another unwanted package called competition. Cut throat competition may leave you confused about how to survive in the business. Covering the area in which your competitors fail is a sensible option. Social media gives you many tools to assess your strategy and your competitors. Get yourself the power of professional social media packages to explore your area better. Diverting all your attention towards your target audience and customizing strategies to address all their needs helps you remain on track. Social media is no doubt the future of marketing. You can either take the help of social media experts to undertake SMO, or get your social media basics strong on social media marketing strategy suitable for your firm. Many SMO services companies in India or in other parts of the world are actively enabling firms to fine tune their marketing strategies and increase profits several times.